It’s been exactly a week since the colonisers of our land, Mr. Netanyahu and his gang of war criminals, decided not to renew the mandate of TIPH, the Temporary International Presence in Hebron whose role has been to observe and report. These observers were volunteers and they come from Turkey, Switzerland, Norway, Sweden and Italy and their job was to observe any violations of the human rights of the Hebronites and report. Not to the United Nations, you understand or to any international body but to the Israeli Government, the Palestinian Authority and their own governments of course. The decision was unilateral. But when did Israel take any notice of the Palestinian Authority, the UN or the International Community for that matter. In answer to a question why he is not renewing the mandate, Prime Minister Netanyahu said that he would force the TIPH out of the city, “We will not allow an international force to act against us,” he stated. Public Security Minister Gilad Erdan, who had been urging Netanyahu to scrap the mission, said that TIPH members had “cooperated with extremist organisations and promoted de-legitimisation of Israel.” But Israel, as per usual, does not tolerate anybody that will bring its atrocities and infringements of Palestinian human rights to the world. As such the TIPH had to go. The Palestinian Authority is warning that Israel is planning to perpetrate a second massacre against Palestinians in the occupied city and take control of the Ibrahimi Mosque. One member of Fatah’s Revolutionary Council, Osama Al-Qawasmi, said in a statement that the only explanation for the Israeli decision is that it plans to seize the Old City and the Ibrahimi Mosque and complete its colonial plan in Hebron. Those words, ‘second massacre’ fill me with foreboding.The TIPH was formed and stationed in Hebron in the aftermath of the first massacre at Al-Ibrahimi Mosque in Hebron in 1994 when an American Jewish Extremist settler, Baruch Goldstein mowed down 29 Palestinian worshippers at the Mosque and injured over 130 others. Their lust for our blood it would seem is unquenchable. Since that first massacre, Hebron, an ancient city with 40,000 inhabitants, has been plagued by a group of extremist and heavily armed Jewish settlers, not dissimilar to Goldstein. They have made the lives of every man, woman and child of Hebron an utter misery. The depths of their depravity in their treatment of the Hebronites are such that no normal human being would ever contemplate, let alone undertake. The aim of these extremist zealots is, of course, to empty Hebron, steal the land, occupy the Al-Ibrahimi Mosque and turn it into a Jewish shrine. Believe me when I say that during the last week I sat down to write about Hebron on more than four occasions. Each time I was prevented by a torrent of emotion and foreboding. Hebron and I have a long and enduring history. My late mother was a Hebronite. Her family, the Al Qaisi Clan are still in Hebron and have been there for millennia. My connection to the city and its people did not stop with the death of my late mother. Three of my sisters are married to Hebronites. One in Halhoul, within walking distance from Hebron and the other two in Beit Ummer, a stones throw away. Another sister was the Head Mistress of the girls’ school in another Hebron village, Al Khadir, know to Christians as St George. Hebron knows my footprint. I have walked all over the city and visited those surrounding villages. I have stopped at my sisters’ homes and spent time in the fields and orchards in the fifties and early sixties before I left Palestine. The last time I visited Hebron with my wife was 9 years ago. Hebron looked and felt like a ghost town. But despite the cruelty and barbarity of the settlers and the Israeli Occupation Forces, the Hebronites are still and will continue to be unbowed. Israel will never prevail. We Palestinians don’t do defeat and that terrifies them. The inevitable consequence of this pre-meditated act of land theft, genocide and ethnic cleansing was the creation of one of the biggest and oldest refugee problems the world has ever known. One out of every three refugees in the world is a Palestinian. With no place to call home and denied every possible human and civil right the Palestinian refugees and their descendents have been languishing in refugee camps ever since in Jordan, Syria, Lebanon and also the West Bank and Gaza. Resolution 194 and many others since have been totally ignored by Israel with the tacit approval, if not the encouragement, of its allies in the West This has become a habit of the Israelis. They take, from the international community what suits their murderous intentions and ignore what they deem to be detrimental to their plans. Remember the Balfour Declaration of 1917 where it all started. Lord Balfour, a Zionist English lord, with no deeds or right to Palestine nevertheless gifted it to another Zionist English Lord, Lord Rothschild. They took the promise with relish and they dumped the proviso in the dustbin of history. This is how Jewish historian; Avi Schlaim described the Balfour Declaration. There is no doubt that the Zionists came to Palestine with one aim in mind. To steal the land. To achieve that they had to demonise the rightful owners and remove them copletely. The proof is there for all to see, over and over and over again. From Theodor Herzl to Ayelet Shaked. Theodore Herzl, founder of the World Zionist Organization, speaking of the Arabs of Palestine, Complete Diaries, June 12, 1895. Chaim Weizmann, ‘Judische Rundschau’ No. 4 1920. Vladimir Jabotinsky. ‘The Iron Wall’, 1923. “A voluntary reconciliation with the Arabs is out of the question. Either now or in the future. Golda Meir Israeli Prime Minister June 15, 1969, The Sunday times. Yoram Bar Porath, ‘Yediot Aa Hronot’ 14 July 1972. Raphael Eitan, Chief of Staff of the Israeli Defence Forces, New York Times, 14 April 1983. “We declare openly that the Arabs have no right to settle on even one centimetre of Eretz Israel…force is all they do or ever will understand. We shall use the ultimate force until the Palestinians come crawing to us on all fours. When we have settled the land, all the Arabs will be able to do about it will be to scurry around like drugged cockroaches in a bottle”. Chairman Heilbrun of the Committee of the Election of Dr. Schlomo Lahat, the Mayor of Tel Aviv, 1983. Having read the above, is there anybody at all who could possibly believe that the lawful and legitimate right of return for Palestinian refugees will ever be achieved without further bloodshed and war? Only when the entire western world finds its moral compass perhaps there is hope. Do you sometimes sit down and wonder what has happened to humanity and where is humankind heading? I do. And so far a coherent or reasonable answer has eluded me completely. Every morning and every day I look at the country of my birth, Palestine and I examine minutely the brutality and inhumanity of the occupiers of our land but I am always confronted with the cold reality of life and geo-politics. The signs are not very encouraging. Israel continues unabated with the theft of our land and our natural resources, the systemic ethnic cleansing and the noose around Gaza which has been made tighter and more suffocating with the help of President Al-Sisi’s Egypt. Only two days ago the Israeli Airforce bombarded Gaza and yesterday Israeli tanks and bulldozers went into Gaza clearing farmland on the eastern border and I am asking myself is this the signal for yet another genocidal operation that will generate another biblical title? There have been many attempts by decent, well-meaning citizens of the world to break the illegal siege on Gaza. But the most profound and eventful was five years ago, when a group of international humanists from all corners of the world decided to fly, sail or even swim to the shores of Gaza to offer some solace to the inhabitants and show the world that what Israel was doing was inhuman and unacceptable. I refer to the Turkish boat, Mavi Marmara, part of the flotilla of May 2010 which was prevented by the Israeli navy from entering the territorial waters of Gaza. It was boarded, forcibly and illegally, by Israeli naval commandos in an act of sheer piracy. Nine activists were killed including eight Turkish nationals and one Turkish American, many were wounded, one of whom was in a coma for four years until he died in May 2014. So, here we are, it is this time of the year and what has been termed as Flotilla III is sailing across the Mediterranean towards Gaza. The latest information is that the first ship, the Marianne of Gottenberg, has reached Portugal. This ship, originating from Sweden is carrying brave, activist passengers and very much needed medical supplies and solar cell panels, which will help ease the energy shortage in Gaza. They are hoping to link up with other kindred spirits on other ships and all are carrying huge hopes in their hearts that this time they will reach the shores of Gaza unmolested. Israel has already condemned them, calling the move an ‘unnecessary provocation’. Foreign Ministry spokesman Emmanuel Nachshon said, “If the so-called helpful Gaza flotillas were really interested in the welfare of the population in Gaza, they would send their aid via Israel.” He insists that a flotilla “only dramatizes the situation”. Talk about the fox being in charge of the hen house! It took the Zionists with all their money, political power and influence around the world over a century to steal Palestine from us, the legal owners. They used every trick and every guile in the book to convince the world that they were the only victims and they deserved all the compassion and support the world could offer them. Those Zionists, in pursuit of their dream of a Jewish homeland in Palestine, were not bashful or even humane. They went about it with tenacity and they prepared for it well in advance. They financed their project from enthusiastic Jewish donors and by blackmailing and cajoling others. They used the Bible. They used a very well oiled and financed propaganda machine and they used, and still use, state-of-the-art machinery of war to expand and consolidate their hold on our homeland. Every Israeli leader, from Ben-Gurion to Benjamin Netanyahu, through, Golda Meir, Begin and Sharon had one goal and one target in mind. That target has never changed, it is to expel all Palestinians and replace them with Jewish migrants from around the globe. They waged war, after war, after war while proclaiming self defence and the world, especially the western world and in particular the United States of America stood by them and approved every despicable crime of genocide they perpetrated on us, the Palestinians. This example of complicity was glaringly obvious during the last genocidal attack on Gaza in the summer of 2014, which left over 2200, mostly civilians, dead; over 100,000 wounded and traumatized and left Gaza in total ruin. The Israelis could not have done this on their own and got away with it. They have willing partners and supporters from various western countries and they have enthusiastic collaborators from the neighbouring Arab states, who were and still are more than happy to sacrifice Palestine at the alter of their selfish tribal interests and safety. We only have to look at the stance of the Egyptian government and its belligerent behaviour towards Gaza to see the picture clearly. The rest of us Palestinians are scattered around the globe trying to eke a living and build a future for ourselves and our immediate families. Imagine for a moment if a Palestinian leader said something even remotely similar about the Israelis or the Jews and imagine what the ‘mainstream’ media would make of it. Cries of ‘anti-Semitism and remember the holocaust’ would ring from one side of the globe to the other. Which brings me to today. It’s Sunday and the Israeli President Reuven Rivlin will be meeting the various leaders of Israeli parties to decide which one of them will be clever enough to put a coalition of the willing parties together and form the new government. You can bet your bottom dollar that the new coalition will include all the right wing and extreme religious and settlers’ parties with Netanyahu at the helm. This disavowal of the two-state solution and the endemic racism does not sit easily with Washington and the Obama Administration. Mr. Obama has also spoken of Washington’s need to “reevaluate its relationship with Israel”. Mr. Abbas, if Mr. Obama, the President of the United States of America, the sponsors of the ‘fraudulent’ peace process is saying that he has to reevaluate his relationship with Israel why can’t you? Meanwhile, Mr. Obama, while continuing to keep to script regarding Israel being a democratic and Jewish state is exasperated by Netanyahu’s rhetoric. Mr. President, may I suggest a viable option, sir? 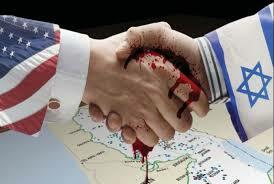 Please stop supplying Israel with money, arms and political and diplomatic cover. Then maybe we the Palestinians and the entire world community may start to think that Washington is not, after all, an Israeli occupied territory. “If you want to know who rules over you find out who you are not allowed to criticise.” Voltaire. I am in a quandary, torn like no other time before between throwing in the towel and calling it a day or continuing on the same path with no end in sight. What brought this state of confusion and uncertainty in my mind and heart is the wall-to-wall media coverage of events concentrated around ISIS. The international media is full of stories about the brutality of ISIS and its grotesque excesses while no mention is made about the savage, continuing Israeli occupation of our land. Yes, you might be able to read or see a clip of the brutality of the Israeli Occupying Forces on our women, children and lands, but there is no serious or meaningful discourse on how to tackle this impasse. Western powers have long decided that Israel cannot do any wrong and Israel is there as their extended arm in the Middle East. As such Israel’s safety and security is paramount even above their own. So how could a small nation like Palestine, with no army, no navy, no air force and hardly any friends or supporters stand in the way of the fourth most powerful army in the world plus its supporters and backers? The answer is very simple. We can’t. 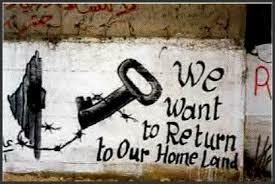 We are the only people in the history of mankind who are not permitted to resist occupation. When we do, because do we must, we are blamed, tagged as terrorists, demonized and besieged to the point of near strangulation. Another reason for my state of melancholy and despair is the total disengagement between the West Bank and Gaza. The PLO (Fateh) behaves as if Gaza doesn’t exist. It is not their problem. The people of HAMAS do exactly the same towards the West Bank. It is nothing to do with us, they say. We are here, standing in the face of Israeli aggression while the people in the West Bank negotiate and collaborate with our enemy. and called for unity; to say to both Fateh and Hamas release the stranglehold that they have over Palestine. Of course, all my efforts have been in vain. That is maybe to be expected, because politicians are a different breed. What hurts the most, like a dagger in my heart, are the hundreds of exchanges and comments on the social media between members of Hamas and Fateh exchanging accusations and insults in defence of their entrenched positions. Not for the good of Palestine and the Palestinians, but for the good of the party that they belong to. Israel, of course, is sitting back looking at this division, feeding it and laughing all the way to the bank. Because, make no mistake, Israel profits hugely from the occupation According to the International Bank those Israeli profits add up to $6 billion a year from the occupation and division in Palestine. Not only are these yearly returns an excellent reason for maintaining the occupation, Israel, which yet again, destroyed Gaza completely last summer, was not even asked to contribute to the reconstruction of Gaza. On the contrary one of the Israeli architects of Gaza’s destruction,, Major General Yoav Mordechai, a sadistic commander of the Golani Brigade, is now a member of the team that will oversee the passage of reconstruction material into Gaza. This position effectively, gives him the power of veto. How is this right? How is it even possible? This is the man who rained white phosphorous, a chemical weapon that inflicts horrific burns on its victims, over Gaza in 2009. How could a man of this caliber be put in charge of the reconstruction of the place he destroyed and demolished down to its last person standing and its last brick? And what does the international community do? Nothing much as usual. They are too busy elsewhere, namely the Ukraine. This last weekend, M. Hollande of France and Mrs. Merkel of Germany had a tête-à-tête with their Russian counterpart, Mr. Putin to try to find a way out without resorting to war. This is what the UK Foreign Secretary, the Rt Honourable Philip Hammond had to say referring to Mr. Putin. “This man has sent troops across an international border and occupied another country’s territory in the 21st century acting like some mid-20th century tyrant. “We do not behave like that. Civilised nations do not behave like that in the 21st century”. Quite right, Mr. Hammond. Can you find the courage to direct these very words towards Mr. Netanyahu? How could you when you are a prominent member of Conservative Friends of Israel? Oh, I neglected to mention that the Head of EU Foreign Policy, Ms Federica Mogherini only yesterday, in a moment of inspiration, came up with a new idea. “Let’s revive the peace process,” she said. “We need a collective rethinking of our overall approach to the conflict. The Quartet will prepare for a resumption of the peace process, including regular and direct outreach to Arab states”. Let me remind you who are the members of this all-powerful Quartet. The United Nations, the US, the European Union and Russia and please don’t forget to mention Mr. Blair. It’s like trying to administer medicine to the dead. After 22 years of futile negotiations, which have given us, the Palestinians more pain and losses, what negotiations can you be talking about, Madam? And this brings me to another lady who has been in the news recently. May I suggest, Mrs. Ashrawi that the cruelty of the Israeli occupation does not stop at the gates of Jerusalem? It extends to Gaza, Hebron, to Ramallah, to Nablus, to Jenin, to Bethlehem, to everywhere in Palestine where their mechanized brigades can roll in and out unhindered. Mrs. Ashrawi went on to blame the unity government for falling short of carrying out their supposed responsibilities. The divisions are widening and neither Hamas nor Fateh are doing anything about it. She was equally critical of government ministers who appear to ignore Gaza. “You have a big strong government: Go there, take over. Don’t sit back and say, “Well, the deputy ministers have created a shadow government.” Why did they? Because you were not there. Go there, take over… Now is the time to be strong to have a big showing”. I am actually not sure what Mrs. Ashrawi is calling for. From past experience if the PLO, PA or Fateh try to force their way and their will on Hamas in Gaza a bloody, costly civil war would ensue, as surely as day follows night. No my friends and compatriots. Now that I have laid my soul bare I see that in now way am I giving up. Despite the fact that there is no pot of gold for Palestine at the end of this particular rainbow I just can’t give up. As I have always said, we Palestinians, we don’t do defeat. Let’s try to equate this with what’s happening now in the endless negotiations over Israel and Palestine. The Palestinians despite having the moral argument on their side have no power to speak of. They have been negotiating and they have been compromising for years. And what have they got for their efforts? Nothing. No, less than nothing. We are in a far worse state now than we have ever been. Meanwhile, successive Israeli governments keep demanding more negotiations while making every possible effort to sabotage those very negotiations they say they are calling for. The most recent example was the thwarted effort of Secretary of State John Kerry last year. Every time Mr. Kerry arrived to conduct a session of mediation between the two sides the Israelis announced more settlement expansions, more new settlements in and around East Jerusalem and more confiscation of large swathes of Palestinian land in the West Bank. So what is the point? The Israelis have all the trump cards at their disposal and the Palestinians have what? They have a begging bowl. That begging bowl has been left empty. In fact, it actually has a gaping hole in it. Mr. Mahmoud Abbas, President of the Palestinian Authority, having spent the last 22 years bending backwards to accommodate Israel has now exhausted all possible options. So last December, he went trotting back to the United Nations, begging bowl in hand, to once more ask the international community to compel Israel to withdraw from the Palestinian territories and honour past UN resolutions in that regard. The Israelis in their usual arrogant, uncompromising fashion used all their power to ensure the failure of this move. Which of course it did. Mr. Abbas, back firmly to the wall with nowhere else to go, finally decided to do what all of us have been calling him to do for years, he signed the Rome Statute and joined the International Criminal Court. And all hell has broken loose. Mr. Netanyahu and his fellow cabinet members unleashed the most venomous and vicious attack on the person of Mr. Mahmoud Abbas and rolled out the usual propaganda machine to demonise and discredit him and the Palestinian Authority. Last week the ICC decided to kick start an ‘initial’ enquiry into possible war crimes and crimes against humanity by Israel in Palestine, most particularly during the most recent massacre in Gaza last summer. What do the Israelis do? They not only reject the whole process out of hand, calling it ‘absurd and ridiculous’ they threaten to ‘liquidate’ the ICC. Why? What are they frightened that these unbiased, impartial lawyers will find? Isn’t this extraordinary behaviour an admission of guilt? The very idea that anybody would dare to question Israel is sacrilege. Why Jerusalem, Mr. Rivlin? Why not Tel Aviv? Or is this your way of affirming to Mr. Abbas and to the world at large that Jerusalem is the undivided, eternal capital of Israel? So, if you have already decided on Jerusalem what are you inviting Mr. Abbas to negotiate over? Mr. Kennedy sir, if you could look down on us all, you would see that the Israelis have taken ‘what is yours is negotiable’ to extreme lengths. Why shouldn’t they when every time a member of the US government visits Israel it is only to mouth more platitudes and offer Israel more support? Senator Lindsey Graham, chairman of the Appropriations subcommittee, is leading the way to stop U.S. aid to Palestine. Sen. Rand Paul has even introduced new legislation to cut all funding to the Palestinian Authority. Why does the United States of America pass legislation to protect a foreign country? What is offensive, Senator Graham is your continued support of the genocide, apartheid and colonization of Palestine by Israel. Mr. Kennedy, negotiations? Fat chance, sir. As some of you might know, 2014 was designated by the United Nations as the year of solidarity with Palestine. As it draws to an end has it been? I don’t think so. 2014 brought us yet more loss of land, blood and treasure. And the gloom doesn’t seem anywhere near lifting. Some of you might say that the world is more aware and the Palestinian Cause is talked about and discussed in the social media every day. I agreed, but change has been affected? What hope is there for my people and my land? Yes, I am a Muslim. Yes, I am an Arab. But fundamentally I am a Palestinian. Do I want to throw Israel into the sea? Do I harbour any ill feelings towards the west? So, why is it that we, the people of Palestine, have, in the main, been ignored for the best part of a century? Is it maybe because of a moral vacuum in the world or are we the victims of avarice on the one hand and indifference on the other? When I consider events over the last six months; yet another massacre in Gaza, the continued theft of swathes of land in the West Bank, the desecration of holy sites in Jerusalem, the enlargement of illegal settlements, the harassment and humiliation of our people under occupation, the declaration of Israel as an exclusively Jewish State I can’t help but wonder why are we being ignored? The USA and its allies, particularly Britain, Australia and Canada continue to put the stamp of approval on genocide by calling it ‘self defence’, while the international community, after 100 years of indifference, is feverishly clamouring to recognize a Palestinian state on a fraction of the historic land of Palestine. Is this fare? Is it conducive of a just and lasting peace? Jews were encouraged to migrate from all over the world without any thought for the indigenous population. We were ignored. Our struggle to break loose from the clutches of imperialism and colonization was brutally suppressed. In 1947 the UN resolved to partition Palestine, allocating 56% to the minority population, the Jews and 43% to us Palestinians, the rightful owners of the land. The Arab collective rejected the plan and as a result went to war with Israel in 1948. They lost. Israel was created, capturing more land. After the 1948 war, not only was Israel created over 78% of the historic land of Palestine but Jordan and Egypt annexed the remaining 22%, known as the West Bank and the Gaza Strip. The West Bank went to Jordan and Gaza went to Egypt. 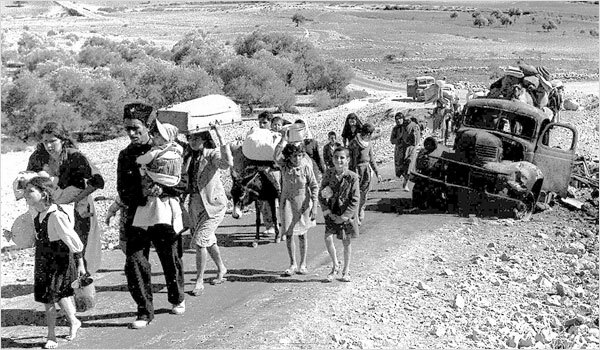 Another catastrophic result of the 1948 Nakba was the displacement of 750,000 Palestinians to various parts of neighbouring Arab countries, who now total over 5 million refugees languishing in squalid refugee camps with no rights whatsoever. The birth of the Palestinian armed struggle for recognition of our rights was in the 1960s, when the PLO, the Palestine Liberation Organisation was formed and deemed by the Arab countries at a later date to be our sole representative. The conflict in 1970 between the Jordanian Army and the PLO factions in Jordan ended in the Palestinian forces being expelled from Jordan. They went to Lebanon. In 1982 Israel invaded Lebanon with the sole purpose of destroying the PLO as a fighting force. The result was not only the expulsion of the PLO from the Lebanon, but also the bloody massacres of the refugee camps, Sabra and Shatilla, perpetrated by the Lebanese Right-Wing Phalangists under the umbrella of the Israeli invading force. After 40 years of administering what became known as The West Bank, Jordan decided to disengage in 1988. Inevitably, most Palestinian residents of the West Bank and the refugee camps in Jordan found themselves in a state of limbo yet again. Just three years later, when Iraq invaded Kuwait in the first Gulf War over 400,000 innocent Palestinians were expelled from Kuwait without a thought of what would become of them. In the 1993 Oslo Accord between the PLO and Israel again the Palestinian people were ignored. In every subsequent meeting between the so-called Palestinian Authority representatives and the Israeli negotiators, more and more concessions by the Palestinian Authority were offered to the Israeli occupier. Considering that the Palestinian Authority was created without our approval not voted in by us how could they purport to speak on our behalf? We are told, as civilized nations, that in cases of dispute or misunderstanding let us all resort to the UN for amicable solutions. Yet every resolution that has been passed requiring Israel to fulfill its international obligations towards Palestine is brushed aside. Every time a resolution condemning Israel reaches the UN Security Council it is vetoed by the US. I will be ignored no more. I demand to be heard. Let us canvas all the Palestinians. Not just in Israel, in the West Bank, in the camps in Jordan, Lebanon, Syria and Egypt but in the Diaspora, the Arab World, Europe, North/South America and Australasia and find out about the dreams and aspirations of the Palestinians. I know that this is very tall order. But I also know that when good men and true do not look the other way goodness will flourish. Of course we need to organize; of course we need to communicate and of course we need, the ugly word, to be funded. Again, I am sure, with good intention and determination, all is achievable. What I am aiming to do here is to get us out of a vicious circle that has prevailed for the best part of 100 years and put an end to this injustice. 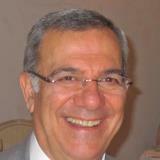 To find out how Palestinians and Israelis, Jews, Muslims and Christians alike could live in harmony and mutual respect. Is that too much to ask? I don’t think so. I hear the cries of Jews, Christians and Muslims all over the world calling for lasting, durable, just peace not only in Palestine, but the world as a whole. Dig deep into your hearts and find a small corner for this acorn to grow and I am sure that the tree of humanity will flourish. Cast your thoughts back, if you will, to the very origins of this idea of the oneness of God. As far as we know this one God is a benevolent, loving and peaceful God, lording it over all mankind. Whether he/she actually exists or was invented to subdue the masses is a different matter. The most spoken of and followed God is the God of the Jews, the Christians and the Muslims. An intelligent human being living in this global village of ours in the 21st century may well be excused for thinking to themselves, “But what about the Gods of the Buddhists? The Hindus? The Sikhs? The Shintos? Why are these shoved aside? Or is it because the God of Abraham is the one and only? Nevertheless, whoever he or she is must be sitting uncomfortably on that imaginary throne up there in heaven, looking down at what has become of his creation and at what his flock is doing in his name. Let us agree from the start that we are all accidents of birth. None of us had a choice as to our parents, in what country we were born, what colour we are or what religion. This, I think, will save us a lot of argument about indoctrination, belief, piety and fanaticism. There has been a great deal written and said in the international press about Islam and Muslims in the last few years. Most of it, not to say all of it, is not flattering nor does it relate in any way, shape or form to what I understand true Islam is or what it is all about. Look at the Conquistadors in Spain. Look at the Catholics in South America and most of all look at what happened in the Land of the Free and the Home of the Brave, the United States of America. A country that was built on religious fervour and In The Name Of God. This was the message the new world sent out to maltreated, impoverished refugees from all over Europe who had suffered religious degradation in their own countries, again In The Name Of God. They flooded in, these maligned people, clutching their meager worldly possessions, which always included a bible, looking to leave that religious persecution behind them. And what has happened? Those God-fearing, whiter than white Christians practiced, even more thoroughly and even more abhorrently, the kind of ethnic cleansing they experienced themselves back in the ‘old country’. The Red Indians, now known, guiltily as “Native Americans”, were virtually wiped out. Their land, their culture, their way of life, their dignity were obliterated. In The Name Of God. In the name of that same God they kidnapped and transported, under the most appalling conditions, mostly in chains, entire communities of Africans to help them forge God’s new country. They were slave labour. Even when those same slaves took on this Great White God of their masters, even when their religious fervour rivaled anything experienced or heard in an ordinary white church it was not enough. They were not God’s people, so they didn’t count. In the name of the same God a similar fate awaited the aborigines of Australia, the Maoris of New Zealand and the natives of Canada. This God of Abraham is now being re-branded. He is exclusively the God of the Jews. No other God matters. No other peoples matter. This God is wearing the Star of David on his forehead and is cloaked in the unholy robes of Zionism. In his name they are stealing our land. In his name they are spilling our blood. In his name they are uprooting our ancient, sacred olive trees. How could a God, who is a God of peace sanction the uprooting of the tree of peace? The olive branch has been a symbol of peace before any God had been created. But this God has his eyes firmly focused on our land. This God has become an estate agent exclusively for the Jews. We have been demonized, vilified, painted as the enemies of freedom, democracy and God and our blood has no value. It can be taken by anyone who wants to spill it in the street. And they will be rewarded for it. Not in the Kingdom of Heaven, but in the land of the Palestinians, the Holy Land. Look at what has been happening in Iraq, Afghanistan, Yemen, Bahrain and Libya. Look at the hoards of hyenas gathering around the carcass of Syria. Look at the spilling of our blood in Palestine while the Christian Zionists in America are beating the drums of war against Iran. It only took Mr. Netanyahu’s warning ‘Militant Islam is on the march’ to have the Christian Zionists raise the flag of God and call for war. 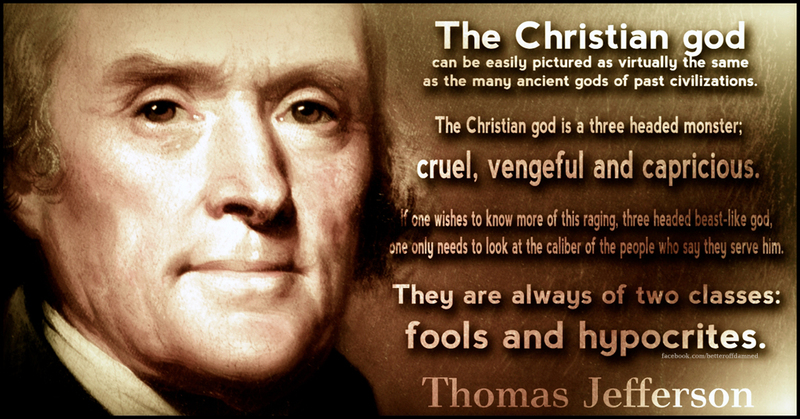 Does this sound like a benevolent, merciful, peaceful God to you? On the American greenback, it says ‘In God We Trust.’ How appropriate. What God I wonder? I say to them, your God is about conquest, subjugation and greed. Your God is about the superiority of avarice over the truth. Your God is about coveting what other nations have and getting it no matter what sins are committed in the process. Your God is Mammon. Your God is Zionism. In that God I do not place any trust. In that God I want no part. There is a thought that has been brewing in my head since the latest massacre in Gaza and what followed. How to define a relationship between two peoples who live on the same piece of land but are, in terms of cultural, religious and political affiliations, oceans apart. In this article I shall try to define the relationship between religion, race and democracy in Palestine. In particular when it comes to the relationship and sense of entitlement that many Zionist Jews have with Palestine. This thought was magnified and brought to the fore after the latest pronouncements by Mr. Netanyahu and his cabinet declaring Israel as a state for the Jewish people exclusively. More of this later. To do this we must go back to the birth of Zionism as ‘a political movement’ where the idea of a Jewish state started. When you know that the founder of the Zionist movement, Theodor Herzl and many of his followers were atheists you would be justified in thinking that using the Bible and God as justification to steal other people’s land is a tiny bit cynical, or at very least irreverent. Furthermore, Mr. Herzl and his co-founders didn’t think of Palestine as their first choice for their proposed ‘Judenstaat’ – Jewish State. They actually thought first of Uganda, then Patagonia, the southern part of Argentina. There was one other proposal. In April of this year a letter, dated 12th September 1917, surfaced in the British Library. It was written by M.L Rothstein, a Russian Jewish doctor, residing in Paris at the time, and addressed to the British Ambassador in Paris, Lord Bertie Frances. It requested support for a plan to establish a Jewish homeland in Al Hassa, part of what is now known as Saudi Arabia. Too late, said Lord Balfour. I have already promised Lord Rothschild Palestine. And the rest is history. The non-Jewish community in Palestine then constituted 90% of the inhabitants of Palestine, a mix of Arab Muslims and Christians. The ownership of the land, at that time was 93% Arab Muslim and Christian and 7% Jewish. That did not seem to matter to the Zionists and their supporters. They followed, with venom, the creation of the Jewish Homeland in Palestine, while trampling on the rights of the indigenous, non-Jewish population all the way to May 1948 when the state of Israel was created. Israel then occupied 78% of the ethnically cleansed land of Palestine. As a result 750,000 indigenous Palestinian Arab Christians and Muslims were forcibly and brutally removed. Most of them are still languishing in subhuman refugee camps around the Arab world. David Ben-Gurion, considered to be the founding father of Israel wrote: “We must do everything to ensure they (the Palestinian refugees) never do return” Ben-Gurion diaries, 18 July 1948. Thirty-five years later Rafael Eitan, Chief of Staff of the Israeli Defense Forces in 1983 said, “We declare openly that the Arabs have no right to settle on even one centimeter of Eretz Israel… Force is all they do or ever will understand. We shall use the ultimate force until the Palestinians come crawling to us on all fours.” – New York Times 14 April 1983. Not only did they ensure that none of the Palestinian refugees returned they added to their numbers in the hundreds of thousands in the subsequent wars of conquest and expansion. Brute force is the best-known weapon of the Israeli Occupation Force. The Israeli law is another. According to the Legal Centre for Arab Minority Rights in Israel today there are over 50 discriminatory laws against Palestinian civilians in Israel in all areas of life, including their rights to political participation, access to land, education, state budget resources, and criminal procedures. Some of the laws also violate the rights of Palestinians living in the 1967 occupied Palestinian territories and Palestinian refugees. There are another 19 new laws against Palestinians pending approval by the Knesset. Or should I say twenty? Mr. Netanyahu has just proposed a new, sweeping bill that is so divisive, so undemocratic, so blatantly apartheid that even members of his own cabinet are questioning it in the Knesset. According to his proposed bill, Israel should be a Jewish only State with Jewish only people having full citizenship rights. Even those known as Arab Israelis, whose families have been living within the state of Israel before 1948 would lose their citizenship rights and Arabic would be de-listed as a second official language. What or who are these Jews who have a sense of entitlement over Palestine? Are they a religious group, which is the accepted description of the people who practice Judaism? Or are they a political movement? Or are they a race of people? If you look at these options objectively and listen to what Netanyahu and his cabinet is calling for you cannot but come to the conclusion that the Jewish state is a religious entity, which excludes anyone who is not Jewish by religious affiliation. In other words they can come from anywhere in the world providing they follow Judaism, which is a religion. Yet the message that is being sent out is that this will not only be a Jewish State but a democratic state. How can this be? Democracy in any understanding of the word is affording equal rights and equal obligations to the citizens of any state. How could then the Jewish state, with 20% non-Jews residing in it be called a democracy? So are the Jews just a religious group or a racial group? If you listen to the Zionists they are both, which puts their argument of a Jewish state exclusively for Jewish people in the realm of Apartheid and racism. Possibly those who are ignorant of history might pronounce these remarks to be anti-Semitic, unaware that the Semitic races are those, according to the dictionary, ‘relating to, or constituting a subgroup of the Afro-Asiatic language group that includes Arabic, Hebrew, Amharic, and Aramaic.’ No mention of Brooklynese, Russian, Lithuanian, Polish or English. One vital omission from any declaration from Tel Aviv pertaining to this sought-after Jewish state is they never ever tell us where are the ultimate borders of this state. The internationally accepted borders of Israel are those lying within the 1967 borders. Israel has continually refused to accept this notion and continues to expand and usurp Palestinian lands that don’t belong to it. So how could a state be borderless? Unless the state that they still lust after is Eretz Israel. And if this is the case where in this world are Palestinians to go? Are we to take the mantle of the ‘Wandering Jew’ of history? Stateless, unwelcome by our fellow Arabs and Muslims, cast out from our own country without the wherewithal to care for our families and our livelihoods? Will Israel continue to ignore the various UN resolutions that have been made over the years on the Palestinians right of return? After all, the world has looked the other way on this enshrined right of the Palestinians for 66 years. Is it now time that it found its conscience, its sense of fair play or even its comprehension that adding to the millions of displaced Palestinians already in the refugee camps and the Diaspora will only add another bloody chapter to the tragic saga that is Palestine. The entire area of the Middle East is in turmoil. The killing, the murdering, the maiming, the destruction can only become worse if Israel is allowed to grow its apartheid, racist, brutal regime in Palestine. 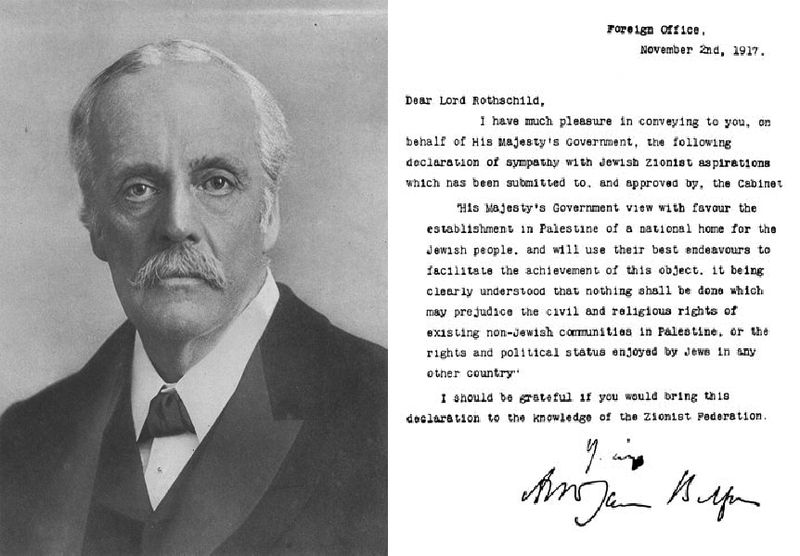 Today is the 97th anniversary of the Balfour Declaration. A day that is indelibly engraved on the heart of every Palestinian. If you live in the UK or any of its former domains, particularly Australia, Canada and New Zealand you could not have missed the commemoration of the centenary of the First World War. 1914 -1918. An unnecessary war, a savage war that cost millions lives. The unfortunate thing about politicians is they never use guns. They use a much more lethal weapon with longer lasting damage, called politics. Just before the bloody end of the First World War, one such politician, Lord Balfour, Foreign Minister of Great Britain at the time, excelled himself. With a single stroke of the pen he changed the course of history and created a catastrophe. On November 2nd 1917 Lord Balfour, a Christian Zionist wrote a letter to Lord Rothschild, a Jewish Zionist, unjustly promising that the British government would ‘view with favour’ the establishment of a homeland for the Jews in Palestine. At that time, Palestine was 10% Jewish and 90% Muslim and Christian Palestinian Arabs. Please examine the passage below in this infamous letter. Lord Balfour did not honour this commitment. In fact he went out of his way to dismiss us, the Palestinians in the most arrogant manner. This is what Palestinian journalist and author, Ramzy Baroud found while researching Balfour’s correspondence. He couldn’t have been more wrong. The lives, hopes and aspirations of the Palestinian nation that he gifted away and actively destroyed were far more important than the Zionist doctrine that he adopted with alacrity. A doctrine that was born in the west as a result of racism, humiliation and persecution of the Jews in western societies for centuries in which we Palestinians played no part. None whatsoever. What I find interesting is the stance of the American administration of President Woodrow Wilson. At the end of the First World War, he sent a delegation to the Middle East to investigate the situation in Palestine. The report was decisive, saying that if America was to adhere to the principles of self determination, then the fact that 9/10th of the population was non Jewish and emphatically against the proposal, then this project should be cancelled. Yet the history books are littered with examples of how the mandated British forces brutally advanced the creation of a Jewish homeland by encouraging Jewish immigration into Palestine and crushing every semblance of resistance to this foreign invasion of our land. Palestinian civil society was punished severely when it demonstrated against such an invasion. Palestinian resistance fighters were hanged high in the squares of many Palestinian cities like Acre, Jaffa, Haifa and Jerusalem. Palestinian homes were blown up by the British. The Palestinian High Command that acted as a government of Palestine at that time was exiled to far away lands to make the passage of the creation of a Jewish homeland easier. Nevertheless the Jews were growing impatient with what they saw as the slow progress of mass Jewish immigration into Palestine and the realization of their dream. They turned against their benefactors and started to use violence, convinced that the British were standing in their way. No good deed goes unpunished. And the British were punished severely for their largesse towards the Zionists. The various Jewish terrorist organizations like the Urgun, the Stern Gang, the Lehi and the Hagannah perpetrated acts of terrorism against the British forces in Palestine, killing many. The most infamous of which was the bombing of the King David Hotel in Jerusalem. They sent letter bombs and explosives to various British government offices in London, Rome and Paris. The British had served their purpose and had to be removed. They were chewed up and spat out like chewing gum. The Jewish terrorist gangs then turned their attention onto us, the Palestinians, with a level of savagery against an unarmed, defenceless civilian population that had never been seen before. As a result of this brutality 500 Palestinian villages were wiped off the face of the earth, tens of thousands of Palestinian men, women and children were murdered and the final push was in 1948 when ruthless massacres were inflicted on dozens of towns and villages. The most horrific of these massacres were at Deir Yassin, Ein El Zaytoun and Ramlah. That was the year that the Zionists declared the birth of their state, on more than 78% of the landmass of Palestine, resulting in even more destruction, more theft of land and the forcible expulsion of 750,000 Palestinians from their homes into the wilderness and beyond. Harry S Truman was no Woodrow Wilson. This was the President who pressed the button, igniting the two horrific nuclear bombs on Nagasaki and Hiroshima. This was the President who dropped a further terrible bombshell on the people of Palestine by taking on the Zionist cause with alacrity. He supplied them with money, arms and political recognition and cover. And the American juggernaut has been gathering momentum ever since. Successive American administrations since Truman, with the honourable exception of John F. Kennedy, have continued to arm, finance and protect the Zionist project, irrespective of what heinous crimes the Zionist government and army commit in Palestine. It would be no exaggeration to state that the USA Congress in Washington resembles a Jewish colony that is inserted at the heart of political establishment to continue to serve the interests of Israel, not the interests of the citizens of the United States of America. This state of affairs has not wavered one micro millimeter even when the Israel Air Force attacked and destroyed the USS Liberty in 1967 and casualty figures were 34 servicemen killed and 171 wounded. On the contrary, the administration of Lyndon B. Johnson went out of its way to cover it up. Until now, most American people are not aware of this actual attack on their country by the Zionist forces of Israel. It was an extremely successful cover-up. The reason the Zionists did it was in order to blame the Egyptian air force, thereby dragging the US into the planned, forthcoming six-day war. It was a war that resulted in a crushing defeat for the Arab armies and the occupation of the total landmass of Palestine. A situation that is still prevalent to this very day. These 66 years comprise the longest occupation of any land by any foreign force in the history of mankind. An occupation that is suffocating the lives of the many millions of Palestinians who live under it, in particular the 2 million Palestinians who live in Gaza under a tightly maintained siege from the air, land and sea. Those few fatal lines that Lord Balfour, without a second thought of the repercussions, wrote to his friend and fellow Zionist Lord Rothschild 97 years ago are still as devastating now as they were then. We are now witnessing a sea change in public opinion when it comes to Israel. It is no longer a taboo to criticise or even condemn Israeli excesses. And therein lies the hope that decent citizens of the world, of all races and creeds, will say, in unison, “this is unjust, this is unfair and this must end.” And with this hope of better things to come we can perhaps take Palestine out of the clutches of the politicians and put it in the hands of caring humanity.